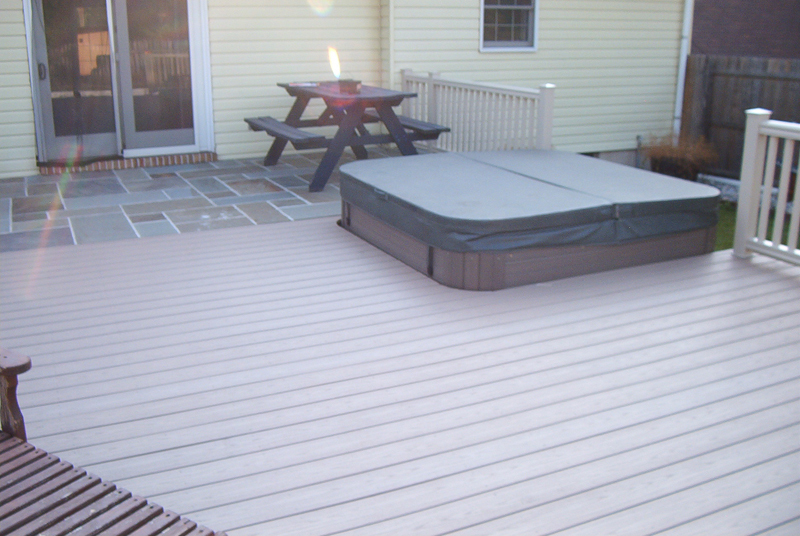 You’ve finally decided to have the deck you’ve always wanted built for you. 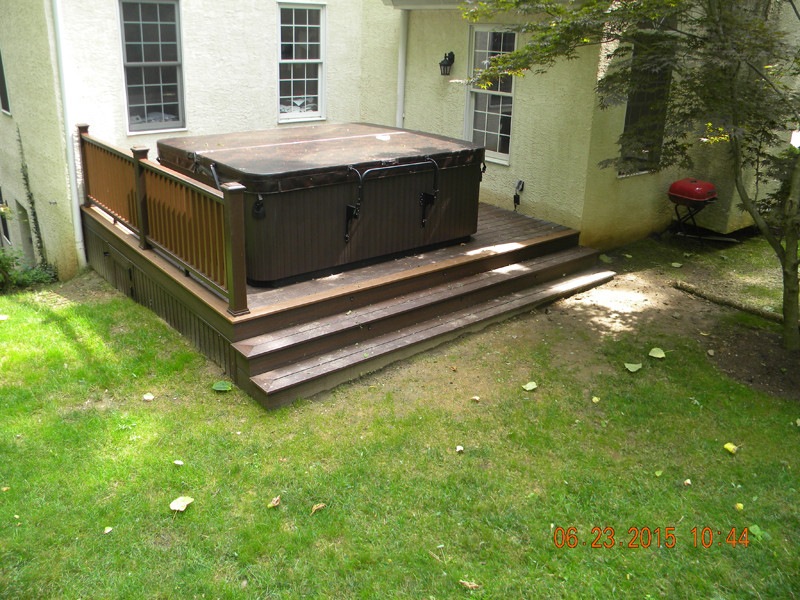 Now is a good time to determine if you might want a pool or hot tub in the back yard as well. 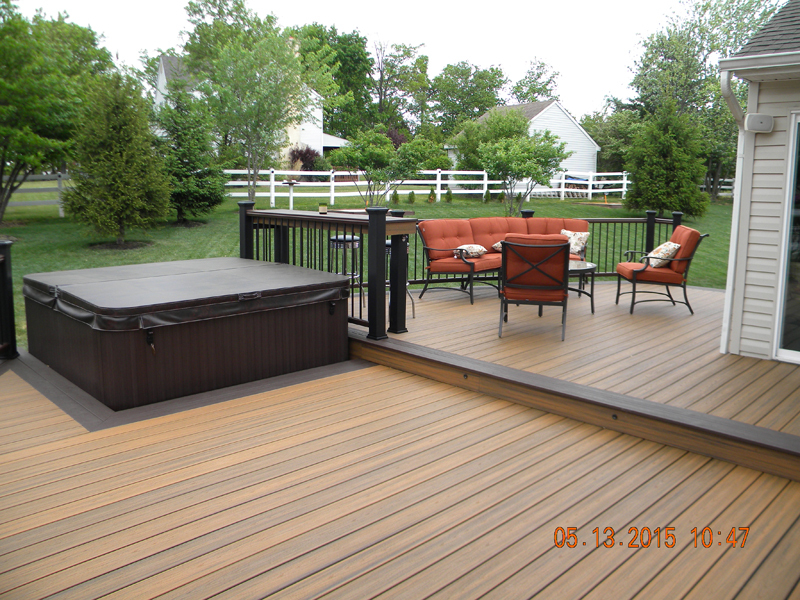 Amazing Decks can be your pool deck contractor and designer. 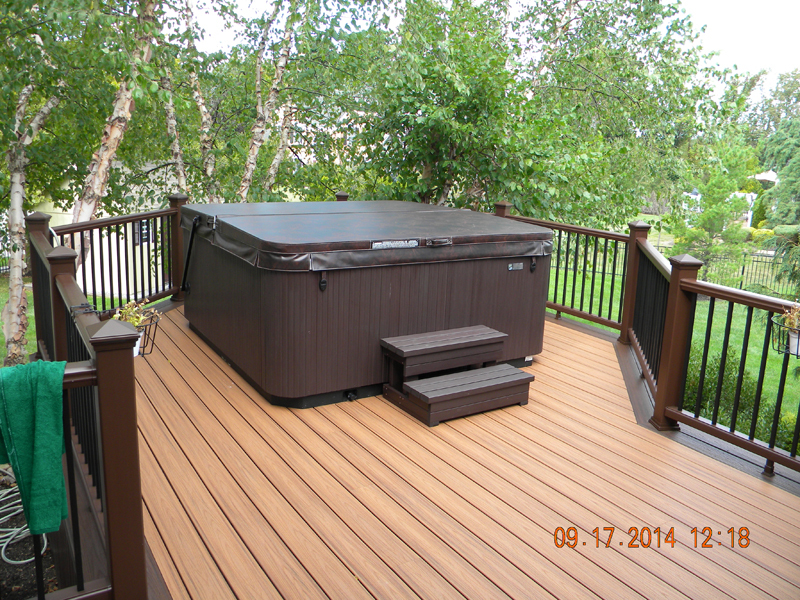 We will work with you to completely customize and harmonize a new pool into the layout of your deck. 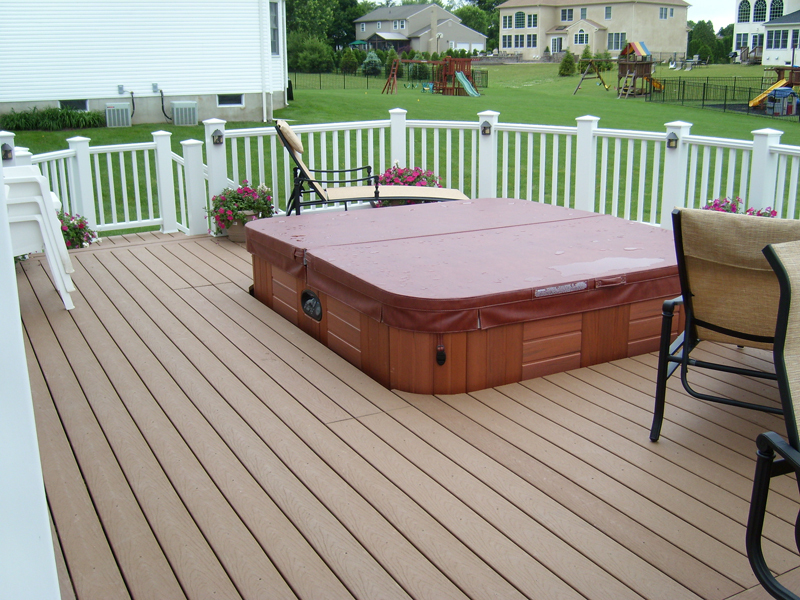 With our variety of pool deck designs, you’ll have it all with easy access from your home. 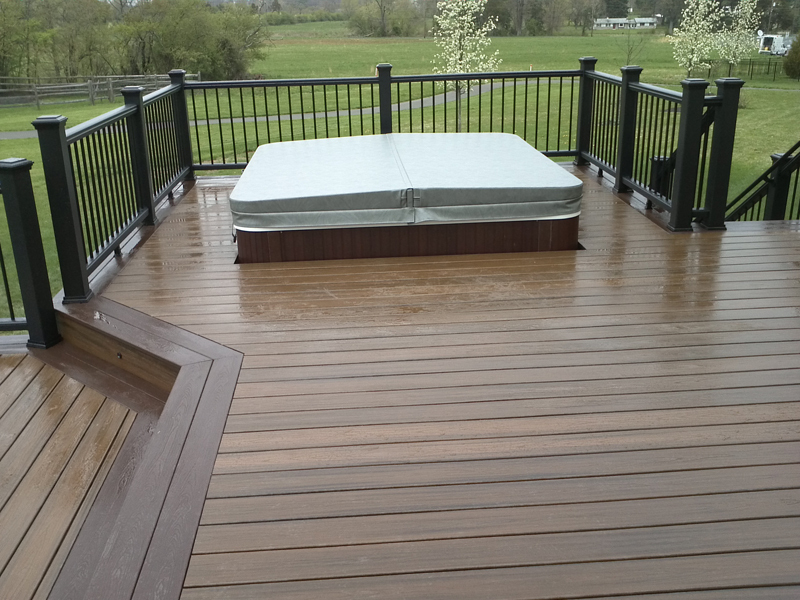 Imagine walking out onto your beautiful deck and immediately seeing that it’s far more than just a deck. 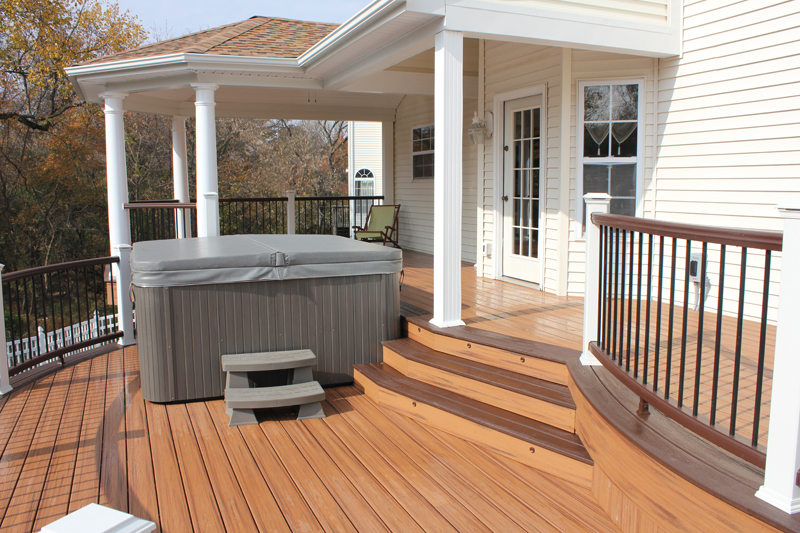 As an experienced pool deck designer and creator of customized pool decks, we’ll build in all the amenities you need to add true luxury to your living environment. 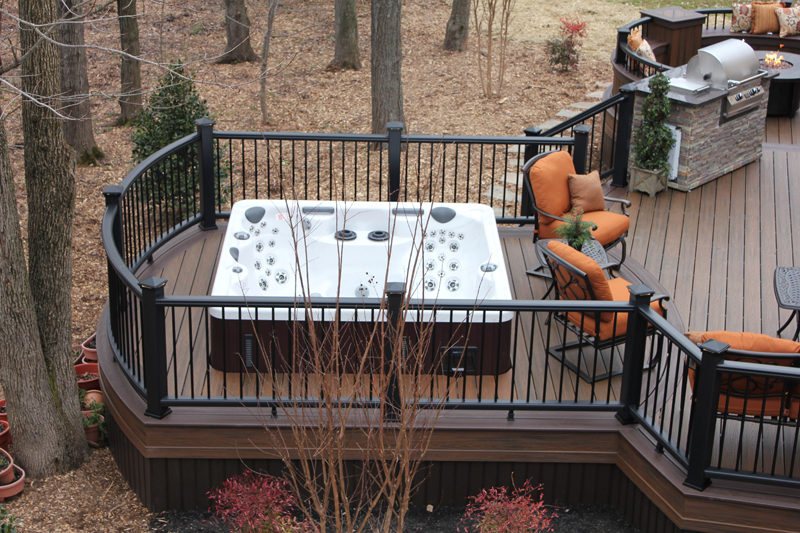 A fully functional deck can include a cooking area complete with a refrigerator, a top-line Magic Fire grill, a sink, a work table, seating areas and more, giving you everything you need for unforgettable entertaining. 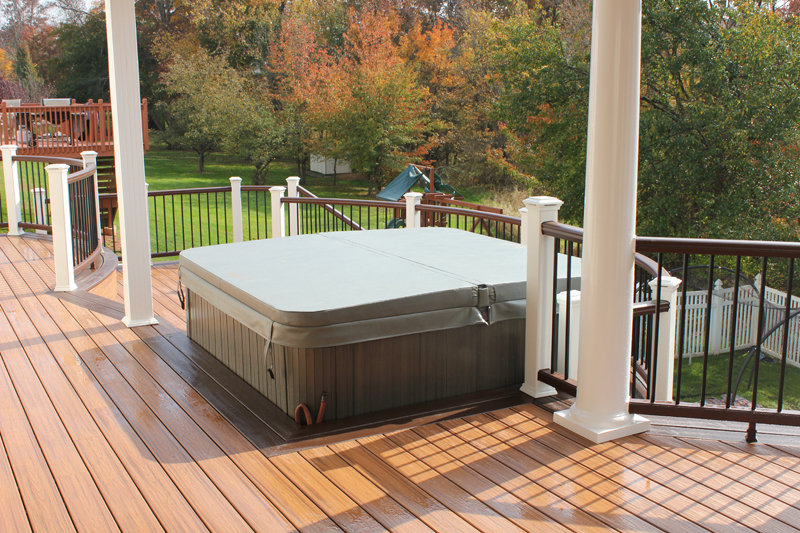 And just a few convenient steps away is your shimmering pool and hot tub, designed according to your specifications and ready to provide fun and excitement for family and friends for years to come. 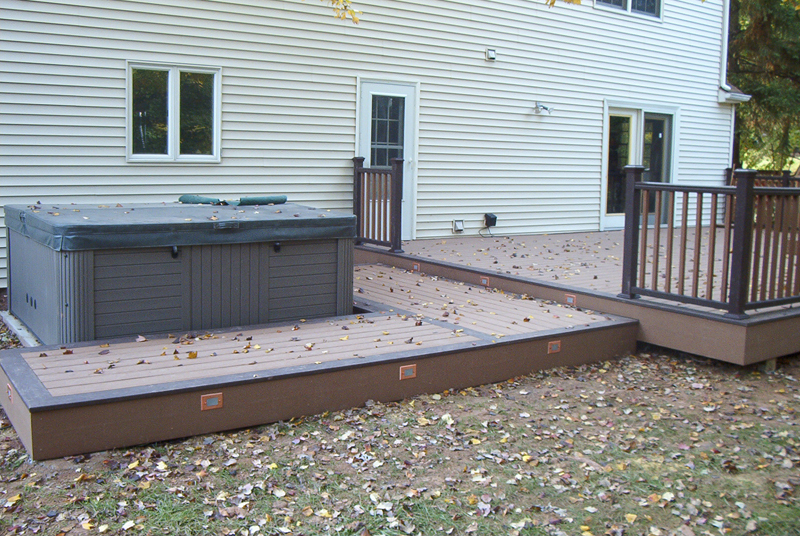 By integrating spa and pool deck designs into the work of creating main decks, we bring our customers amazing beauty and total enjoyment in a perfectly coordinated package. 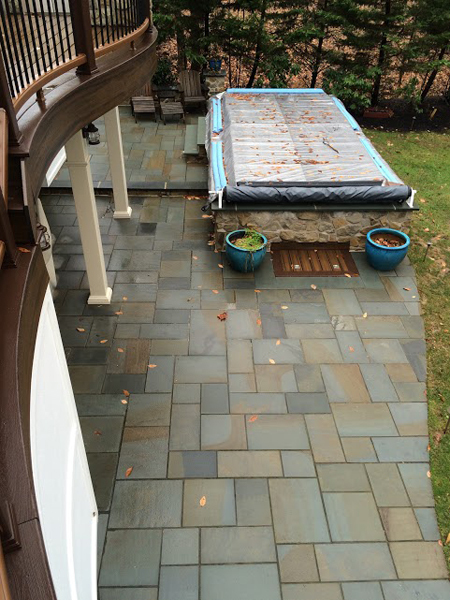 We work with some of the region’s most trusted and experienced pool and spa installers, and we oversee the work to make sure every project is perfectly completed. 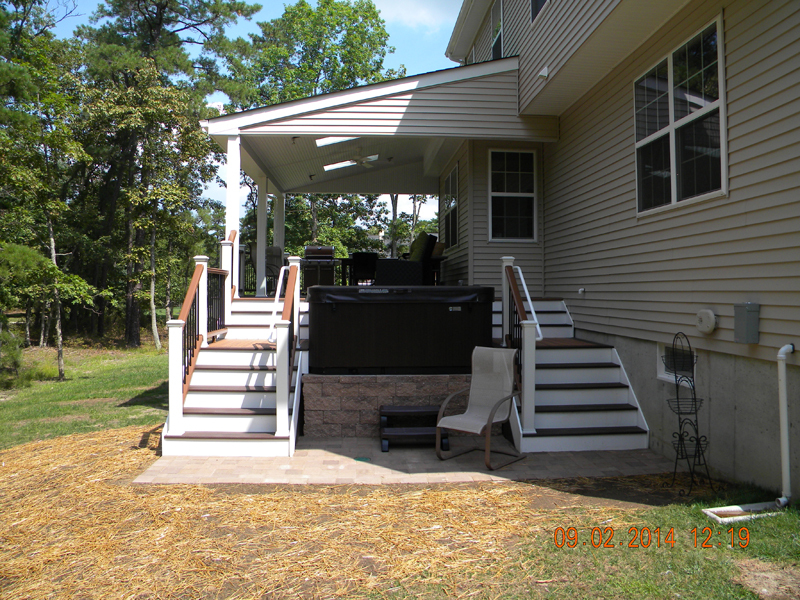 You’ll enjoy spending more time outside – and not just in the summer months – if you choose an outdoor fireplace as a central part of your main deck. 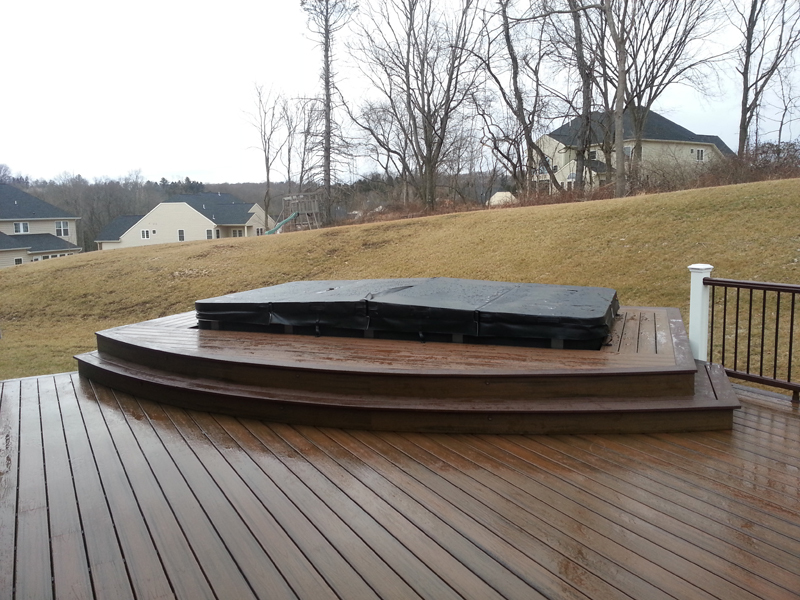 A fireplace along with a sturdy deck roof to protect you from sun and rain means you’ll be relaxing in your outdoor living space earlier in the spring and later into the fall. 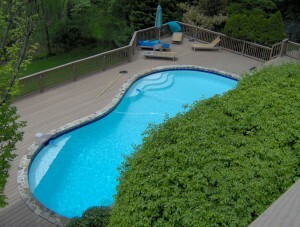 Looking for a Pool Deck Contractor? 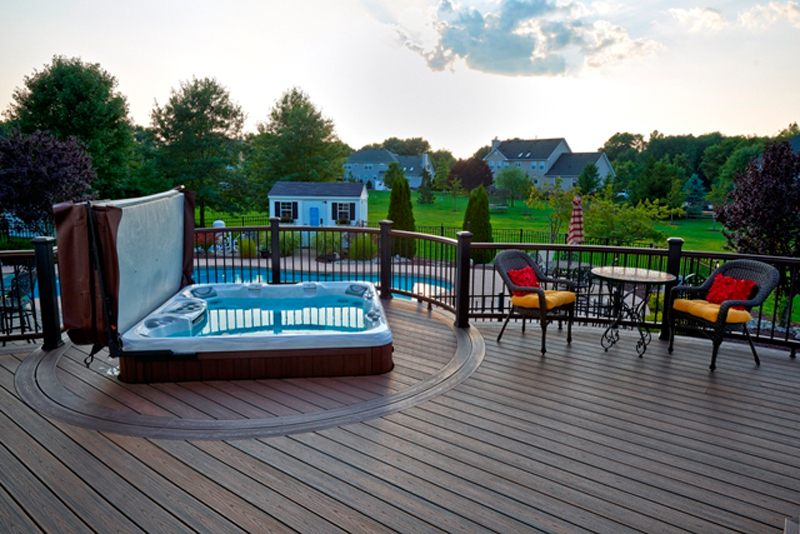 If a deck is in your plans and you’d like to know more about integrating a pool or spa with it, call a pool deck designer and contractor that will help you determine the best layout for your property. 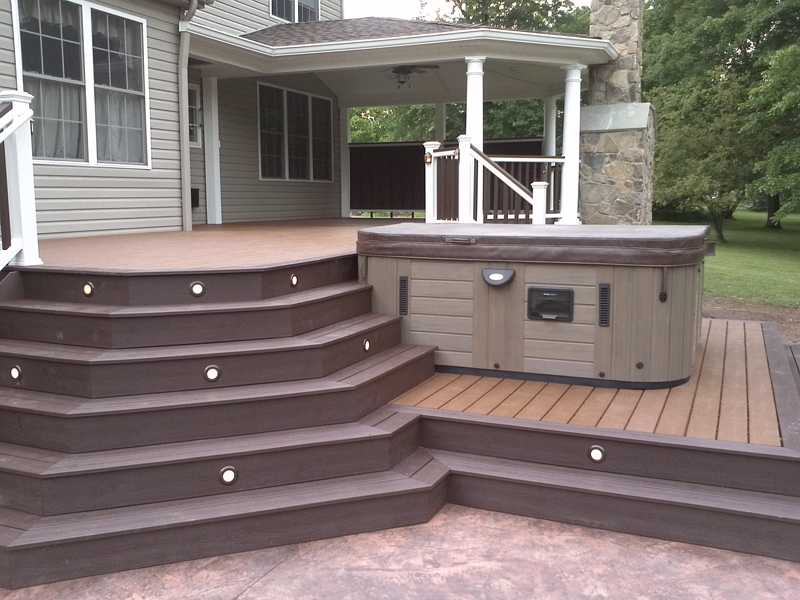 Contact us today or call (215) 654-1886 and ask about spa and pool deck designs. 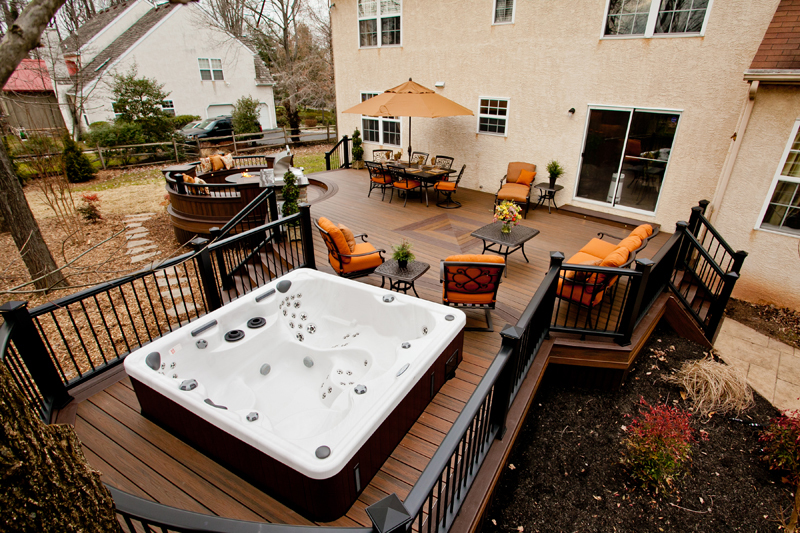 If you prefer, you can visit our showroom at 11 South Ridge Ave., Ambler, Pa. We’d be happy to speak with you about pools and decks and answer any questions you may have.